The previous five-a-day still reduces risk, but the number to aim for is actually double that amount. EATING TEN FRUIT or vegetables a day will give you the greatest chance of reducing your rate of getting a heart attack, stroke, cancer and early death. This is the finding of new research, led by scientists from Imperial College London, which analysed 95 studies on fruit and vegetable intake. The team found that although the recommended five portions of fruit and vegetables a day reduced disease risk, the greatest benefit came from eating 800g a day (roughly equivalent to ten portions – one portion of fruit or vegetables if defined as 80g). The study, which was a meta-analysis of all available research in populations worldwide, included up to two million people, and assessed up to 43,000 cases of heart disease, 47,000 cases of stroke, 81,000 cases of cardiovascular disease, 112,000 cancer cases and 94,000 deaths. In the research, which is published in the International Journal of Epidemiology, the team estimate approximately 7.8 million premature deaths worldwide could be potentially prevented every year if people ate 10 portions, or 800g, of fruit and vegetables a day. Email “You need to eat 10 fruit and veg a day to avoid serious illnesses, study says”. 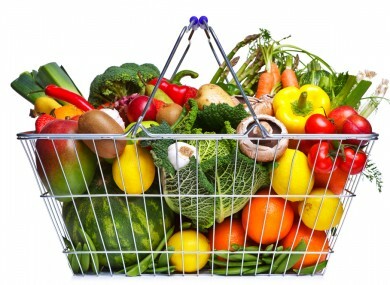 Feedback on “You need to eat 10 fruit and veg a day to avoid serious illnesses, study says”.